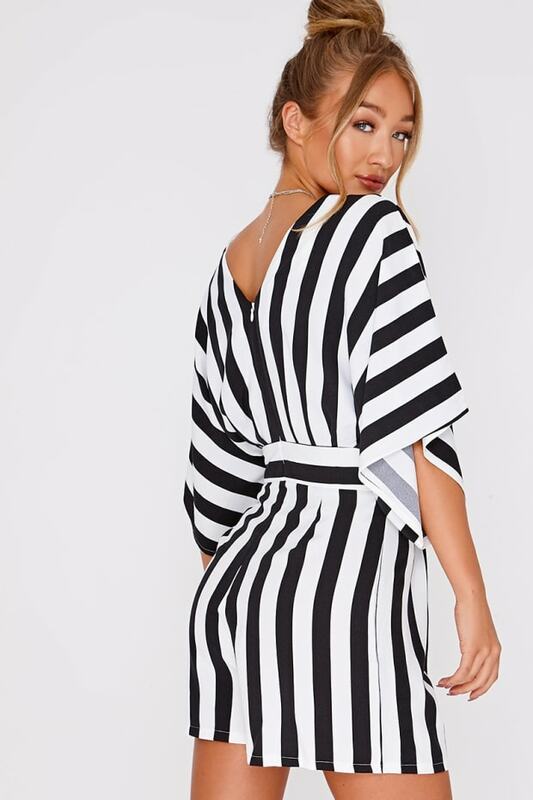 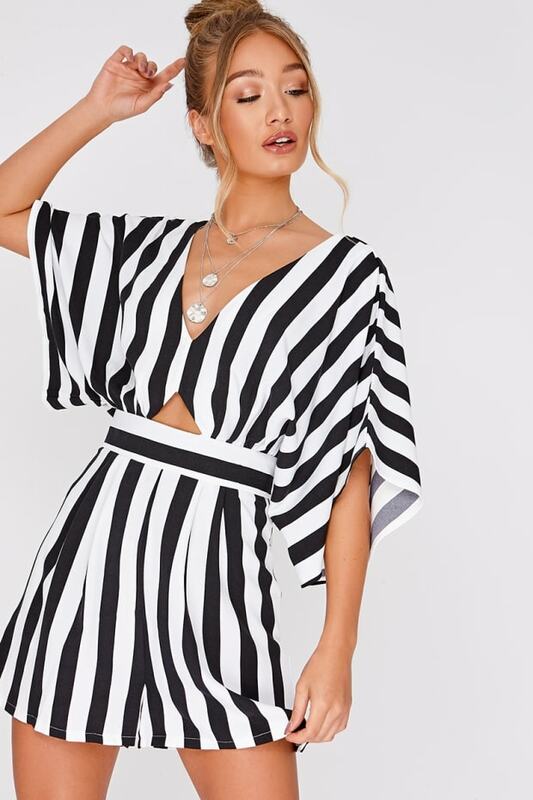 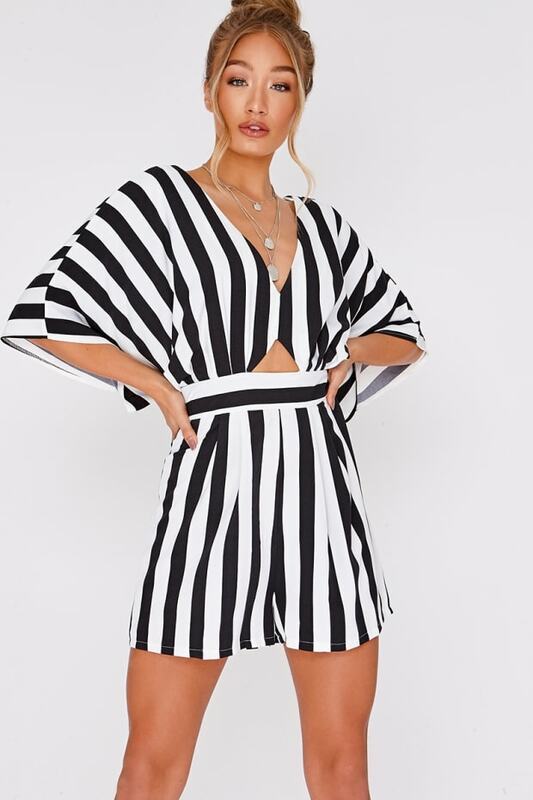 Work serious sassy vibes in this black and white striped playsuit! 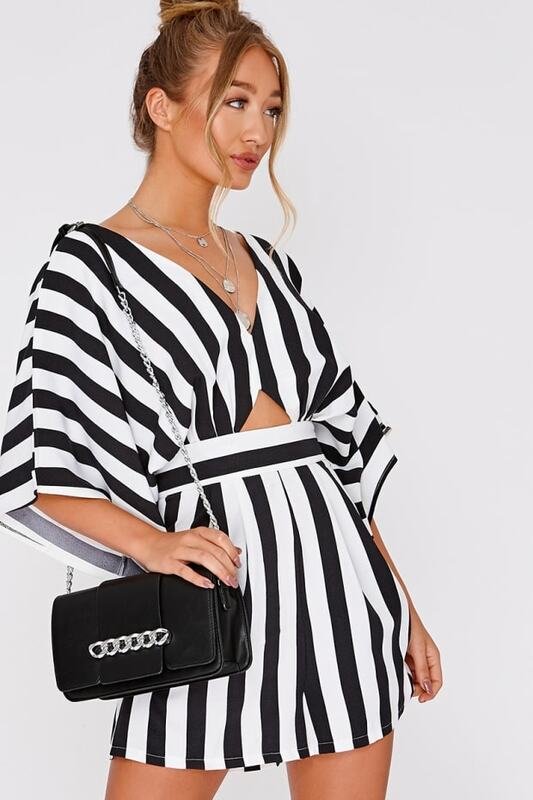 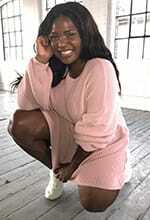 In a beaut kimono style featuring cut out detail and plunge necklne, this will take your style to the next level! 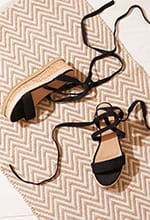 Go for strappy heels for ultimate outfit goals!